We are FSL Estate Agents, a leading independent estate and letting agency based in Wakefield. Fantastic landlords. East to approach and deal with and were quick to repair a couple of problems when reported. Lovely people and goid company. Would whole heartedly recommend. I am renting my very first property with FSL; after struggling with so many others, I am finally glad to have found the most helpful, caring and informative estate agents who put the client first no matter what. Diane was extremely attentive to our needs and even managed to push the moving in date forward so that it would work better for us all. Moving in was straight forward, simple, and not a daunting experience at all.. I highly recommend FSL to anybody looking for a new property: excellent service and a great team. After dealing with several (stressful) agencies in the Wakefield and Leeds area, we decided to go through FSL to rent our new home. Diane was absolutely lovely, it's refreshing to have someone so helpful and organised dealing with our move. FSL have raised the bar in the Wakefield area and I would recommend them to anyone! Thanks for the Tenancy agreement today and all the hard work you have put into finding the tenant's for me, they seem like a lovely couple starting out and very excited, hopefully they will turn out to be trustworthy and reliable. Thank you all so much for all your help. As a first time commercial property leaser i was very anxious about the whole process but Amy was very helpful & we completed really quickly & easily. Id definitely recommend. But i would of liked to have known about when id have to start paying rent as i was caught out by not realising that it should of been written into the lease. My mistake as a novice. Thanks for all your help in renting my property. Wish you could manage all my properties. Thanks for the super service my other house is at Bridgfords but will definitely be coming to you cheers. Thanks for your work on sorting this out so quickly, and dealing with the tenants! Much appreciated. Thanks as always for the first rate job you do for us! Thanks very much Diane, fingers crossed! Thank you for your help with everything, much appreciated. Have just seen this, You have made it look amazing thank you so much. Have shared on Facebook. Excellent to work with as a contractor. Great communication, updates and responses. From my ongoing relationship and experience FSL come highly recommended. Thankful for the speedy sale on my mum's property. The staff remained in constant contact with us with updates regarding the sale. Went above and beyond couldn't praise them enough. The most professional letting agency I've used. Always get back to you quickly as a tenant if you have an issue and are as focused on the tenant as the landlord, again a rarity with letting agencies in my experience. An extremely professional organisation who very swiftly and efficiently found us our new tenants within 24 hours of our ad going live. Communications between tenants and landlord through fsl are excellent. 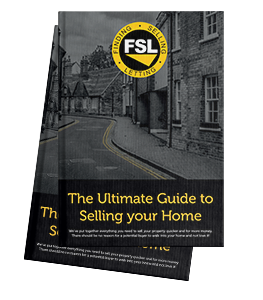 I can fully recommend fsl estate agents. I have used FSL for a Tenant Find Service for a number of years and have always been pleased with the service. cannot fault them, they got us into our home quickly and efficiently and have managed the property well. they handled the bond via escrow much better than my last experience with whitegates. i even got a free mug and pen on move in date. thank you. My partner and I rented our first property together throughout FSL, quick, easy and so friendly. Answered every question with ease and made us both feel very comfortable. Thank you! FSL provide a curteous, efficient, friendly service and gets results. The staff at FSL, especially Amy, have gone above and beyond in helping to secure a new 6 year lease on our retail unit in Wakefield city centre. Fantasic estate agent and great staff! Highly recommend. The ultimate guide to selling your home in 30 days or less. It’s honest, realistic and full of little tips and tricks that homebuyers will absolutely love. A homebuyers first impression is essential.